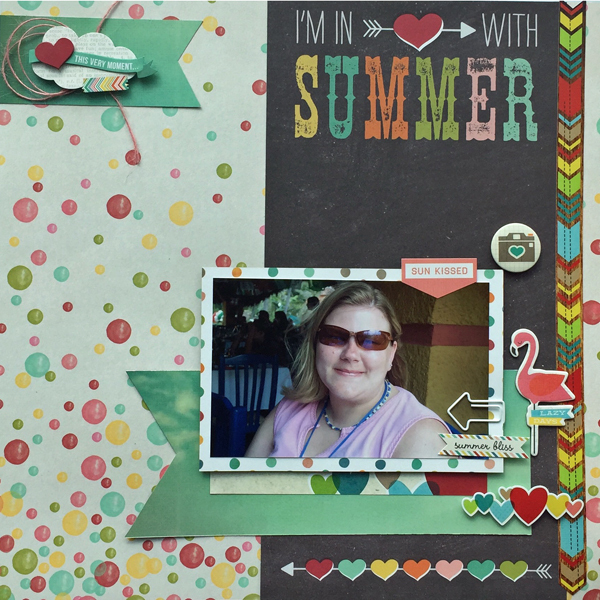 Awesome Summery layout Tiiu! Love your combination of papers…they look fab together! Great embellishing and photo! Fabulous layout, love the photo of you!